That statement goes to the heart of what an NHS workforce strategy should be about. Matters such as staff capacity, professional training, and morale are all covered in the strategy. But those are not ends in themselves. The desired outcome is the best possible care of patients. A strategy aiming to “put staff at the heart of a patient centred vision” must see patient experience staff as a key group within the workforce. They gather and analyse patient feedback, handle complaints, and run patient engagement activities. They are crucial to the ability of clinicians, management, and boards to understand patient experience and develop patient centred services. So what does the 142 page long strategy have to say about this small, but vital part of the workforce? The answer is… nothing. That is a worry, because patient experience teams are under serious pressure. To illustrate this, let’s take a look at just one part of their role—gathering and analysing patient feedback. We could start with the Friends and Family Test, which gathers vast amounts of data which are published monthly. At the same time, however, the Care Quality Commission runs national surveys on women’s experience of maternity services, children and young people’s experience, emergency department experience, inpatient experience, and community mental health services experience. NHS England, not to be outdone, runs the national cancer patient experience survey and the national GP patient survey. NHS Choices weighs in with an online star rating system. The Office for National Statistics commissions a national survey of bereaved people. The local Healthwatch network compiles between 2000-3000 reports per year and publishes them across 150 separate websites. And health charities, think tanks, and campaign groups routinely publish independent surveys and studies on patient experience. The draft workforce strategy wants to “put staff at the heart of a patient centred vision.” That will be difficult if patient experience teams—the key to championing the patient voice—are struggling in this way. The workforce strategy needs to be underpinned by a plan for better professional recognition for patient experience staff. Patient experience staff are expected to practise without a formal qualification, without systematic professional development, and without a proper foundation for their learning. They should have a structured learning pathway covering disciplines such as handling complaints, data analysis, risk management, and quality improvement. Clinicians have comprehensive professional databases that they can draw on as a matter of course. Patient experience leads have a similar need for access to knowledge: research evidence, good practice guidance, and more. They should be offered automatic access to the Patient Experience Library. Multiple national patient surveys present large scale and complex datasets. Patient experience staff need to draw out patterns, trends, and wider learning—but have little or nothing to help them do so. They should be helped to make sense of the data. NHS workforce culture too often sees clinicians as the only “true” professionals. Patient experience work may be undertaken because it looks good—not because it is understood as a vital part (alongside patient safety and clinical effectiveness) of Darzi’s prescription for High Quality Care for All. Workforce leaders need to be helped to build patient experience into evidence-based practice and quality improvement. And to see that patient experience staff could themselves be part of organisational leadership. If the workforce strategy is to achieve its aim of “putting staff at the heart of a patient centred service vision” then understanding patient experience is fundamental. And patient experience teams—a crucial part of the NHS workforce—need better support. 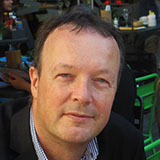 Miles Sibley has worked at the front line of community engagement, and as a Director of Strategy for a national charity. The Patient Experience Library is the UK’s first—and only—comprehensive evidence base for patient experience work across the NHS. Competing interests: MS is a Director of the Patient Experience Library. The library is entirely self financing, it receives no state funding and accepts no advertising.